This is hands down the craziest looking chair we have on the outlet floor. While it is listed on the web site, the amazing discount price is not listed. 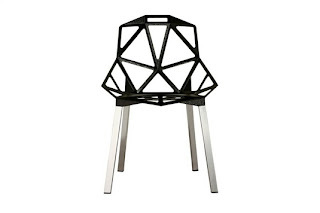 You could pick up this Black Mesh Metal Chair for $68. There is currently only one so don't waste your time getting down here. I can not attest to this being the most comfortable chair but if you are looking for something that is a show stopper and will keep your guests talking this is the chair for you. 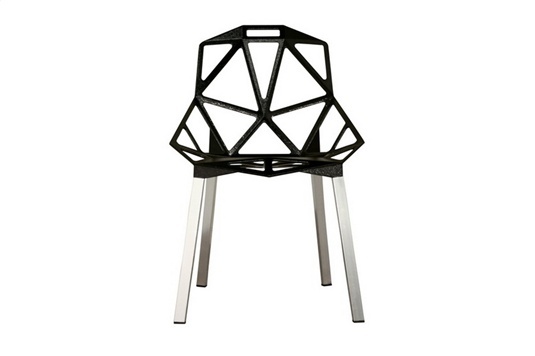 Aluminum side chair in black with chrome legs is a unique addition to any modern decor. Aluminum seat and chrome legs are designed to use firmly both indoor and outdoor.